“After twenty five years of critical risk analysis of the highest quality, I am sincerely expecting that Acreditus can help regional clients as a trusted advisor in the GCC’s increasingly challenging credit environment. 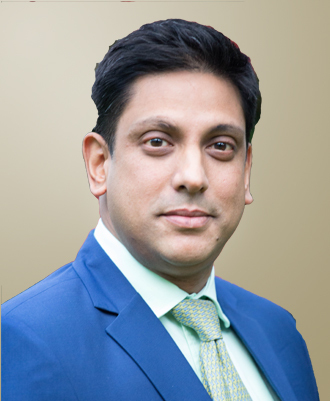 Khalid Howladar is the Managing Director and Founder of Acreditus. With twenty five years experience in risk and ratings, he is a trusted authority in the fields of GCC risk, banking, structured and sukuk finance as well as a prominent voice in the Islamic capital markets. He is a key driver in promoting the ethical, social and financial inclusion underpinnings of Islamic / Participation Finance and has an active investment and advisory interest in new technologies. Previously, Khalid spent 15 years at Moody’s Investor’s Service in various key roles in London and then Dubai since 2008. 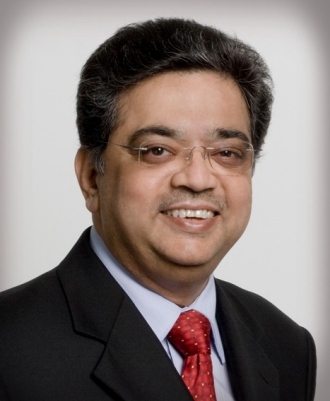 As Moody’s first Global Head of Islamic Finance, he was responsible for the formation and strategy of a new global and cross-business line team of Analytical, Research, Commercial, Events and Media representatives to provide holistic and insightful coverage of this fast growing and dynamic sector through strong research, outreach and analytics. His leadership took the firm to first place in the prestigious IFN Awards for best Rating agency in 2015 after six year’s absence. Concurrently, Khalid was the regional Head/Senior Vice President for the GCC Banking team responsible for rating a diverse portfolio of around 60 financial institutions. He was also a Credit Co-Chair for the European, Middle East & Africa Banking team and a senior member in GCC Sovereign and Sukuk committees. 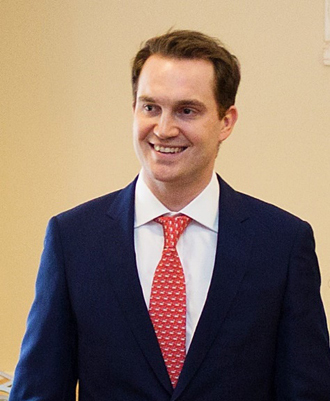 Prior to these leadership roles, he was an analyst in the structured finance team responsible for rating over $150 billion of Middle-Eastern securitizations and a diverse mix of cash, synthetic, high yield, asset-backed and project finance CDOs. Previously Khalid spent four years at Credit Suisse where he was a member of the Emerging Markets Fixed Income Risk team. Khalid provides extensive commentary on both regional credit markets and Islamic finance. As a prolific and opinionated writer, he has authored numerous high impact research pieces and articles that have often been quoted by the FT, Bloomberg, Reuters, WSJ, the Economist, CNBC Arabiya and other regional media outlets. He is a well-respected speaker at conferences with his passionate and dynamic style engaging audiences at the most senior levels in Washington and globally for institutions such as the World Bank, IMF, ECB, IIF, Islamic Development Bank, Arab Monetary Fund and the International Islamic Liquidity Management Corporation. In addition to providing various educational workshops for market participants, he is a keen educational supporter and has sincerely enjoyed lecturing at the New York and Paris-Sorbonne Universities (Abu Dhabi) and others in Dubai and Beirut. Khalid holds an MSc in Finance from London Business School, an MSc in Advanced Information Technology and a BEng in Software Engineering both from the Imperial College of Science and Technology and Medicine. Ahelem is a Director at Acreditus. She is a seasoned Capital Markets professional with over a decade of expertise covering Syndication, Structuring and Origination of Debt securities across the capital structure. Previously she was at Morgan Stanley’s Global Capital Markets team in London. Ahelem was previously responsible for all Financial Institutions (Insurers and Banks) in the Scandinavian and Benelux region. She spent most of her years at Morgan Stanley advising clients in the region, namely Treasury teams including Treasurers and CFOs, on various capital and funding aspects of their balance sheet. As an Executive director, her main responsibility were to advise on capital optimisation as well as funding and liquidity, which encompasses all aspects of debt origination, including structuring of capital and funding securities, programme establishment, marketing and execution of capital and funding securities. She has overseen the establishment of MTN programmes from a wealth of issuers in various asset classes, formats and currencies. Ahelem has a wealth of debt product expertise across the asset class spectrum. With regards to asset backed securities she has experience working with highly rated covered bonds to non rated ABS instruments; this included the structuring and origination of Covered bonds, where she was involved in pioneering issuances prior to the release of Covered bond Legislation globally. 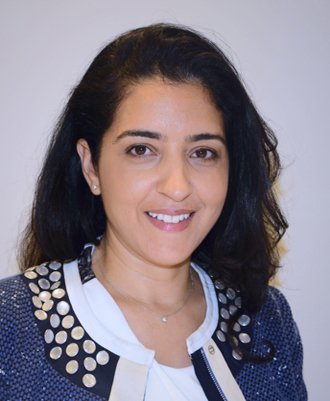 In addition, as a key advisor to her clients during the global credit crisis Ahelem applied her in-depth understanding of balance sheet optimisation through challenging markets, developing solutions to help her clients resolve their liability issues. She also assisted her clients in the transition to Basel III and CRD4. Ahelem holds a Bachelor’s Degree in Economics from the University of Westminster and a Master’s Degrees in Financial Economics Queen Mary and Westfield University of London. James Clifford is a Senior Advisor at Acreditus. He is an expert in liability structure optimization for corporates and was previously Head of Natural Resources Financing, EMEA Leveraged Finance at Barclays in London. James previously served as the Head of Strategic Development at Shalina Healthcare, a leading pan-African pharmaceutical business based in Dubai. In this key role, he was responsible for strategic planning, with a particular focus on regional organic and inorganic growth opportunities, the development of the business plan and marketing materials for internal and external stakeholders. In London James was Head of Natural Resources Financing, EMEA Leveraged Finance at Barclays covering non-investment grade corporates. Here his focus was on originating, structuring and executing loan and bond transactions in the Natural Resources and Chemicals sectors. Under his leadership of the sector team, Barclays became #1 lead arranger with around US$20 billion of financing transactions in the High Yield debt markets between 2014 and 2016 for over 20 companies, ranging from new issues for Ithaca Energy, private equity buy-outs such as Flint Inks, to repeat issuance from INEOS, one of the world’s leading chemical producers. Prior to this leadership role James was a sector generalist with responsibility for sourcing, arranging and executing acquisition financing, recapitalisations, restructuring and IPO financing across a diverse range of sectors including consumer/retail, healthcare, leisure/hospitality. Over the course of his career James has led more than $30bn of financing transactions across a wide range of industries and geographies. His extensive product experience spans lead loan, bond and mezzanine underwritten financings for large caps and private equity to mid-cap club loan transactions. James has a proven track record of quality of advice given to management and private equity on capital structuring and financing strategy. James studied Psychology at Oxford University and Management and Finance at Cambridge University. 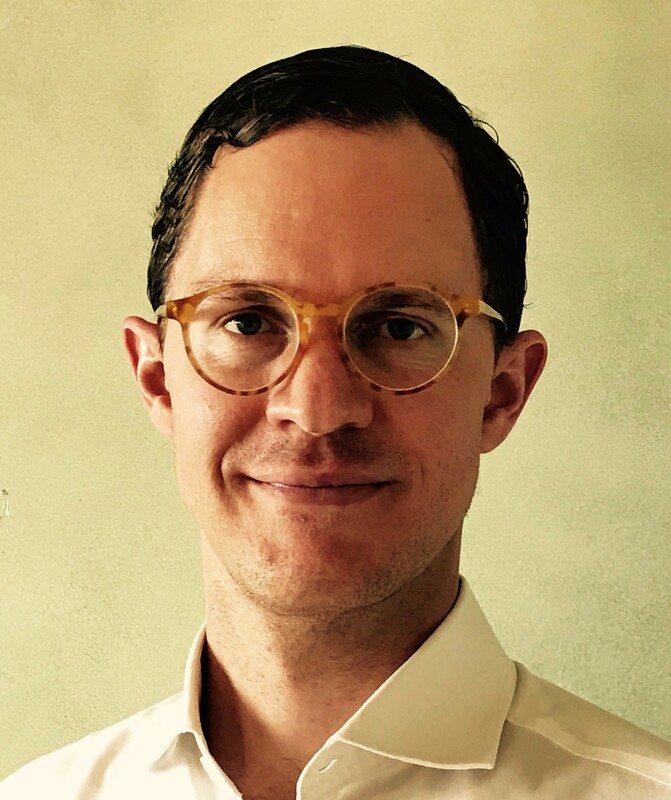 Jeff Christiansen is an Advisor at Acreditus. With over a decade of experience in risk and economic affairs having served in varied roles in both the private and public sector in the USA and Middle East. Jeff has built risk advisory and research credentials over many industries spanning research, intelligence, finance, and consulting, he has worked with Bain & Company, Moody’s Investor’s Service, AfricInvest Capital Partners, the US Department of State, and the Carnegie Endowment for International Peace. Jeff has a Masters at the School of Foreign Service at Georgetown University. 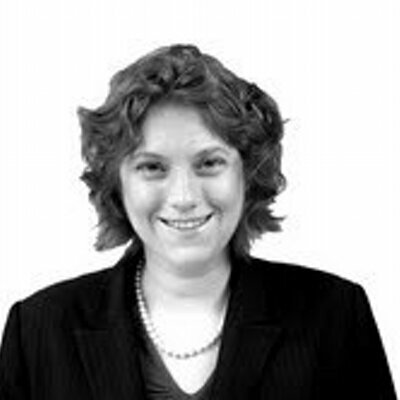 Rachel Ziemba is an advisor at Acreditus. She is a geo-economic and country risk expert and provides macroeconomic and policy due diligence and develops investment scenarios. Rachel has a particular focus on the global drivers of resource producing countries including those of the Gulf Cooperation Council and Asian emerging economies. She is an Adjunct Senior Fellow at the Center for a New American Security (CNAS) and teaches at New York University’s Center for Global Affairs. Rachel previously served as the head of emerging markets research at Roubini Global Economics, a global macro strategy and country risk firm. In that capacity she co-led the research team, overseeing the firm’s quarterly global economic outlook and many of its customized research projects. Rachel began her career in international development. She worked for the Canadian International Development Agency in Egypt, and the International Development Research Centre (Canada). Saber is Senior Advisor at Acreditus. Saber is a career Investment Banker with over 22 years’ experience and recognized expertise in Global Capital Markets, Securitization and Liquidity and Funding solutions. Previously he was COO for Global Credit Trading at Barclays Investment bank in London and Dubai. 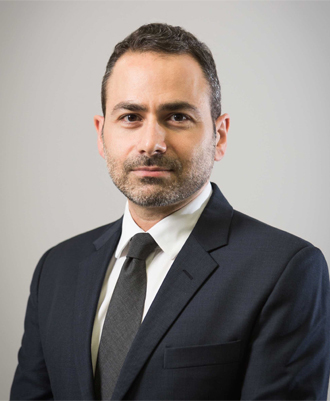 Saber’s career has spanned across multiple banking disciplines and he has held senior front office Investment Banking roles as Head of Structured Repo and Liquidity Trading, Head of Structured Risk and COO. He has worked at Merrill Lynch, HSBC, RBS Markets and latterly Barclays Investment Bank across London, New York, Hong Kong and Dubai. Latterly, he played a key role in raising liquidity and optimization of bank collateral during the financial crises of 2007 onwards. Additionally, and prior to this, Saber was involved in the securitisation market from inception and has a strong track record and recognized expertise in the structuring and issuance of a multitude of ABS. He has worked with a diverse client base including hedge funds, pension funds, family offices, asset management firms and private banks. Additionally, Saber currently serves as an advisor to the Board and Executive Risk Committee at a global Bank. He also sits on the Board of a London based financial technology firm and is a Non-Executive Director of a London and Hong Kong based Investment Fund. In these key roles, he is responsible for risk assessment, collateral and funding strategy and pricing execution. He also serves in an advisory capacity for Governance and Regulatory banking matters. Areas of financial expertise include: Capital Markets-(primary and secondary markets) syndication, Securitization structuring and Funding, Liquidity and Funding, Collateral Optimisation, Risk and Regulatory, Structured Bonds and ABS structuring, fund-linked and asset/ liability multi-asset class derivatives solutions. Saber holds a Bachelor’s and Master’s Degrees in Mathematics from King’s College London and a Master’s in Business from City University Business School. He is a veteran GCC banker, leader, subject matter expert in corporate governance, enterprise risk management, risk culture, compliance and ethical banking. He also acts as a mentor, coach and evangelist to budding entrepreneurs and start up projects in addition to his current roles. Prasant, a well seasoned banker, has extensive executive management experience in the Middle East and South Asia spanning all facets of banking. He specialises in corporate governance and enterprise risk management. He has been instrumental in designing, establishing and driving full fledged risk management functions in a number of banks in various Middle Eastern countries. Being at the helm of affairs during most of his career, he developed a strong leadership and track record to conceptualize, architect, plan, manage projects, establish and successfully run enterprise risk management “business” models and roll-out “operational” enterprise risk management models to be run through proper succession management. In his working life he has associated himself in the Middle East in a number of senior roles with Dubai Bank as a Chief Risk Officer, Bank of Kuwait & Middle East as General Manager – Credit & Risk Management and Bank of Bahrain & Kuwait as Head of Risk Management. He was also associated with Emirates NBD while in the Gulf and with American Express Bank and Punjab National Bank in South Asia. Prasant is highly respected in the regional banking arena, is well known across the GCC in his domain and is a pillar of wisdom for Acreditus. He has also been associated in teaching in various Universities and Banking Institutes notably with Bahrain Institute of Banking & Finance. 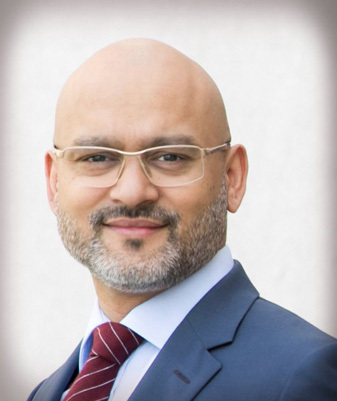 Mufid Shawwa is a Member of the Acreditus Advisory Board and is currently Head of Wealth Management Solutions at a London-based private global asset management firm and has over twenty years of experience as an investment professional. He is an expert in global market investments, including asset/portfolio management, capital markets and cross-asset derivative solutions. Previously he was a Managing Director at Credit Suisse in London and Dubai. Mufid is a Partner and Head of Wealth Management Solutions, Deputy CIO and Executive Committee member at a global asset management and multi-family office firm established in London, New York and Dubai. In these key roles, he is responsible for formulating investment strategies, asset allocation, risk assessment, execution and the dynamic management of discretionary and advisory investment mandates across asset classes in global liquid markets. Mufid is additionally the primary Portfolio Manager for a flagship liquid markets fund offering and sits on the Board of Directors of the EU-regulated fund platform. His focus includes cross-asset thematic research, investing in compelling cross-asset risk premia and tactically trading liquid markets volatility premia. Areas of financial expertise include: global cross-asset allocation advisory and management, family and investment offices institutional setup, international capital markets securities, fund-linked investments and asset or liability derivatives solutions across multiple asset classes. Previously, Mufid was Managing Director at Credit Suisse in London and the Dubai where he spent over 15 years in several senior investment banking roles including Head of Fund-Linked & Equity Derivatives, MENA. In this role, he was responsible for the offering of equities, fixed income as well as hedge fund replication strategies and solutions for institutionalized family offices, asset management firms and private banks. Mufid holds a MSc in Computer Science from the University of Cambridge. 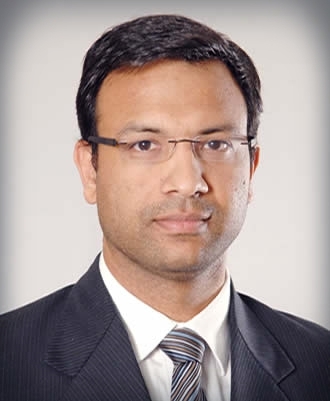 Gaurav Agarwal is a Member of the Acreditus Advisory Board and currently a Partner in Endurance Management Consulting. He has over twenty years’ experience as finance and accounting professional. He has occupied many senior-most roles in the UAE banking and corporate sector, providing leadership and recognised expertise in the financial and accounting field. Previously he was Chief Financial Officer at Emirates Investment Bank. Gaurav is a well-seasoned veteran of the UAE financial system and has experience with all dimensions of corporate finance including Mergers & Acquisitions, valuation and due diligence. He is expert in the application of IFRS for financial institutions and was most recently at Emirates Investment Bank PJSC until November 2016. Prior to this role, Gaurav played a critical role as CFO and Head of Risk and Tamweel PJSC (now part of Dubai Islamic Bank PJSC). Tamweel was one of the first pioneering home finance providers in the UAE. Gaurav was involved from inception in the companies’ incorporation in 2005, and further in credit policy formulation and implementation, Sukuk and securitization funding and a highly successful Initial Public Offering in 2006. His expert financial management during the financial crisis helped maintain the viability of the institution during the liquidity crunch of 2008 and culminated in the successful and profitable takeover by Dubai Islamic bank in 2012. Gaurav raised over US$2 billion of funding in multiple financing rounds from international investors from the key markets of London, Singapore and UAE. Gaurav began his UAE career by managing several corporate finance and advisory projects while practicing at Ernst & Young. He worked with large family groups, Government and Government-Related-Entities as well as private sector companies. Gaurav has an Executive MBA from INSEAD Business School, is an Accountant qualified from the Institute of Cost and Works Accountants of India (ICWAI) and a Chartered Financial Analyst from the Institute of Chartered Financial Analyst of India (ICFAI).